If you are looking for a portable and comfortable folding stool suitable for barbecues, camping, fishing, traveling, hiking, gardens, beaches, etc. The Poit Mini FoldingCamping Stool might be your best choice! This Poit mini folding stool is made of Oxford fabric and high quality steel pipe. It can bear up to 441lbs! Portable Design: Unfold size: 12"L x 12"W x 11.5"H. This Poit mini folding stool weighs 1.6lbs. With the foldable design, you can put it into a compact bag. It will be an ideal stool for camping, fishing or any other indoor and outdoor activities. Detachable Design: You can use a screwdriver to remove the cloth. The cloth is washable. After you put the clean cloth back, it will be a clean stool again. Easy to Use: Open and Fold in one sec. No Assembly Needed! 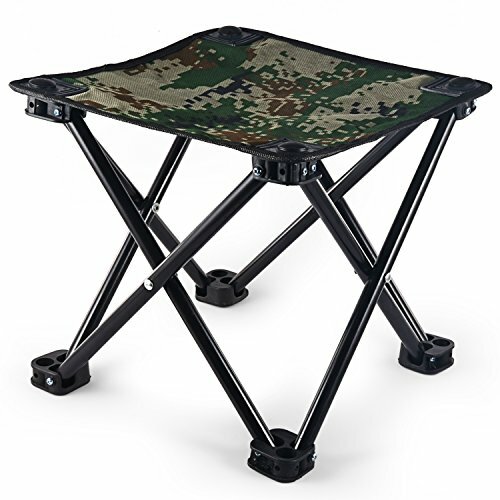 Package Contents: 1x Poit Mini Folding Camping Stool; 1x Carrying Bag; 30 Days Refund Promise. If you have any questions about this product by Poit, contact us by completing and submitting the form below. If you are looking for a specif part number, please include it with your message.